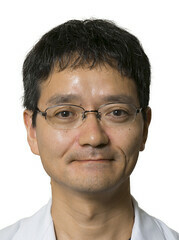 Post written by Takashi Kanesaka, MD, Noriya Uedo, MD, and Tsung-Chun Lee, MD, from the Department of Gastrointestinal Oncology, Osaka International Cancer Institute, Osaka, Japan, and the Department of Internal Medicine, National Taiwan University Hospital and College of Medicine, National Taiwan University, Taipei, Taiwan. Gastric cancer remains the third leading cause of cancer-related death globally. Magnified endoscopy using narrow-band imaging (M-NBI) has shown to have higher accuracy than traditional white-light endoscopy in diagnosing early gastric cancers (EGCs). Nevertheless, the visual interpretation of M-NBI of EGCs could be challenging for non-experts. In our study, we aimed to develop a computer-aided diagnosis (CADx) system to assist endoscopists with 2 levels of output: (1) Was the M-NBI image an EGC or not? (2) Where were the cancerous regions on the M-NBI image? With the rapid advancement of artificial intelligence and computer vision technologies, we envision an exciting new era and rapid transformational progress in the way endoscopists “smartly see and observe” endoscopic images with the assistance of software, real-time, on the spot. Our pilot study developed and tested on 66 pathology-proven EGC M-NBI images and 60 noncancer M-NBI images. Our CADx system revealed accuracy of 96.3%, precision (positive predictive value) of 98.3%, recall (sensitivity) of 96.7%, and specificity of 95%, at an image-processing rate of 0.41 seconds per image. The area concordance of cancerous regions showed accuracy of 73.8%, precision of 75.3%, recall of 65.5%, and specificity of 80.8%, at an image-processing rate of 0.49 seconds per image. Figure 4. Representative case 1. A, Original magnifying narrow-band image. B, The expert-delineated cancerous region was shown by a white dotted line, and the computer-aided diagnosis-delineated cancerous region was shown as yellow blocks. The accuracy of the area concordance was 72%. C, Computer-detected microvessels were colored red. We utilized the support vector machine, one supervised learning method in machine learning, as our classifier. We anticipate that the performance will be much improved by applying deep learning methods (eg, convolutional neural networks). Our pilot study demonstrated the feasibility approaching high-performance, real-time interpretation by a computer-aided diagnosis system for gastrointestinal endoscopy.